I know you, dear wandering educators. I know you’re always on the lookout for bookshops while you travel (because, well, BOOKS). 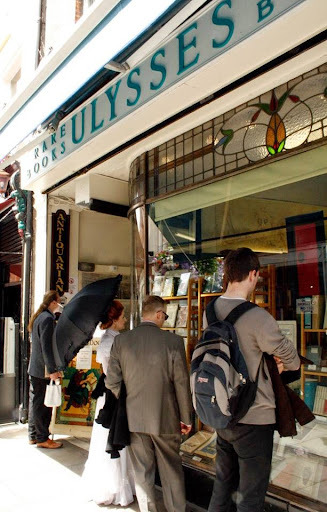 And where better to find bookshops than in Dublin, an entirely literary city (much like Paris, where we found over 20 English bookstores!). Dublin is a UNESCO City of Literature, where writers are celebrated and people love to read. You can discover more about literary Dublin here. And if you need a place to stay in Dublin, here are Dublin's top rated hotels (click for rates and availability). This bookshop is over 30 years old, and is now run by the 4th generation of family. A large selection of new books, including Irish interest. Helpful staff, AND a coffee shop! 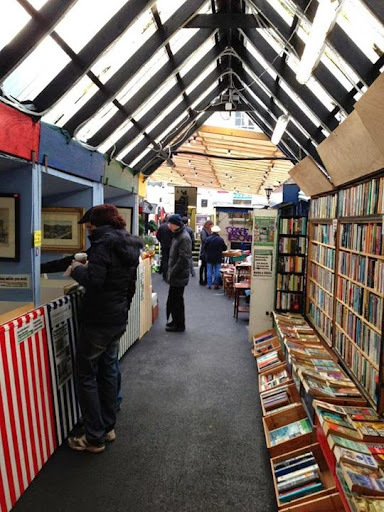 Located in Blackrock Market, this shop features used books. Also in Blackrock, you can find Kavanaugh Books and Market Books. Only open Saturdays and Sundays, 11am-5:30pm. Right across the street from large chain store Eason’s, this is a small, cozy gem. Selling both new and used books, there is also a strong focus on Irish literature. Located near Trinity College, this small bookshop has a lovely selection in a wide range of topics. 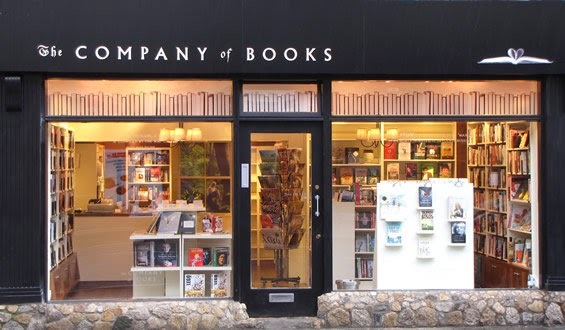 Founded in 1978, this shop has an excellent staff and commitment to good books. 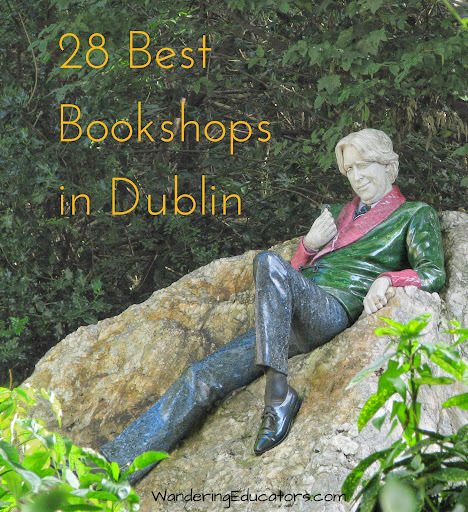 A small bookshop, with plenty of Ireland books, kids books, and more. 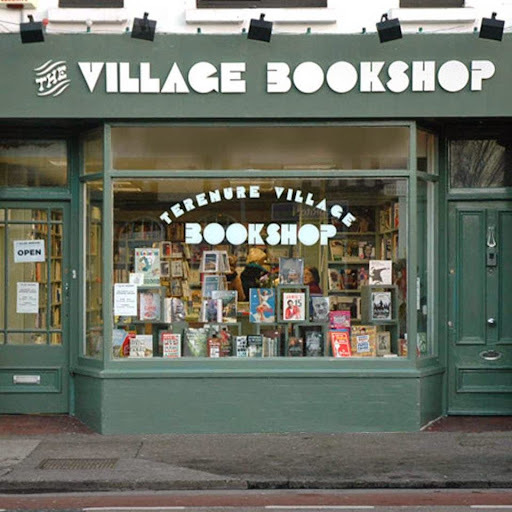 The largest independent bookstore in Dublin, you can find just about anything here, from new to used. At 30 years old, they certainly know their way around books! Here you’ll also find the Lighthouse Cinema Bookclub, and can rent the self-guided audio walking James Joyce ‘Dubliners’ Tour. 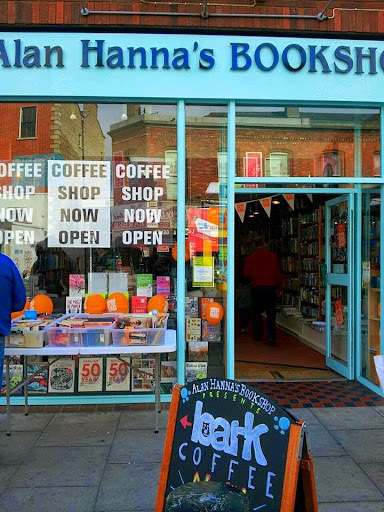 This is Dublin’s oldest radical bookshop, and sells books in Irish history, Marxist classics, and more. Over 20,000 rare books are located in this posh antiquarian bookshop. An alternative store that sells books and accoutrements for spirituality, healing, relaxation, and holistic living. 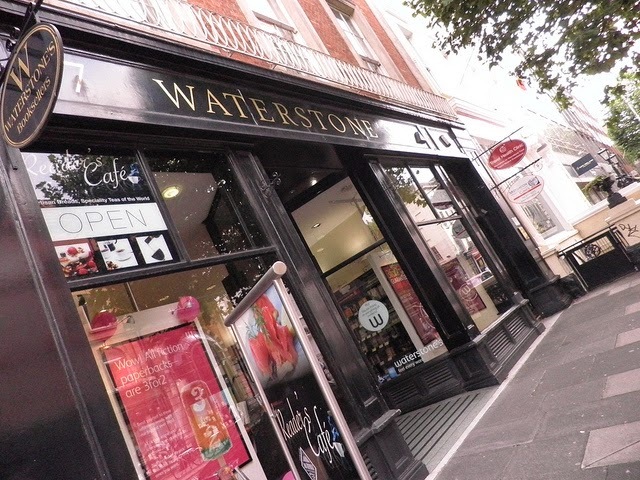 With 6 locations in Dublin, as well as Galway, Kilkenny, and Bray, this bookshop started in Bray, and eventually expanded (as you can see). All new books, in a family-founded large independent bookstore. 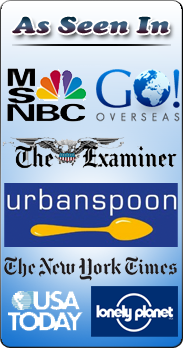 Readings, bookclubs, and more. Founded in 1819 (as Johnston & Co), this bookstore is now one of the biggest, selling books, magazines, and newspapers. There are more than 60 locations throughout Ireland and Northern Ireland. The flagship store is located in O’Connell Street. 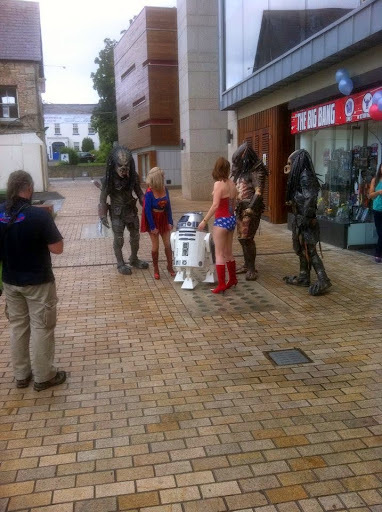 It seems that this photo was taken at a trade exhibition, perhaps in Dublin. The Eason's "stand" is an absolute delight and certainly showcases all that this business (still thriving) had to offer, including personal and office stationery, prayer books, and its circulating libraries. Photos at the top of the stand show the size of Eason's enterprise including their Belfast premises at 17 Donegall Street; Eason's Printing Office and Bindery at Gloucester Street, Dublin; and the shop at Middle Abbey Street, Dublin. Wikimedia Commons: National Library of Ireland on The Commons. A large, well-known comics store with locations in 26 cities. Ireland’s oldest bookshop! 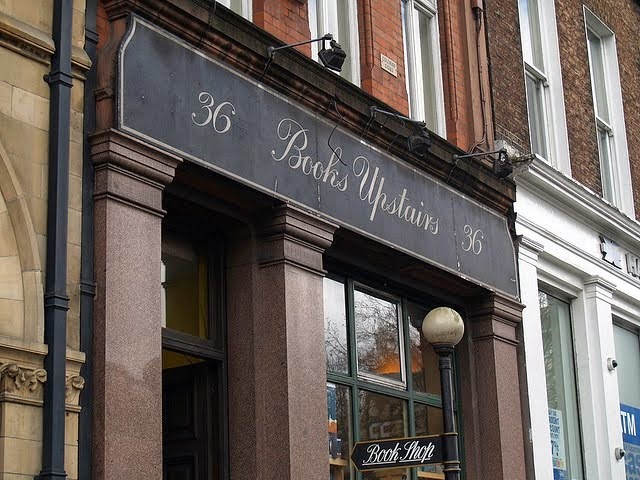 Founded in 1768, this venerable bookstore is now owned by Waterstone’s. 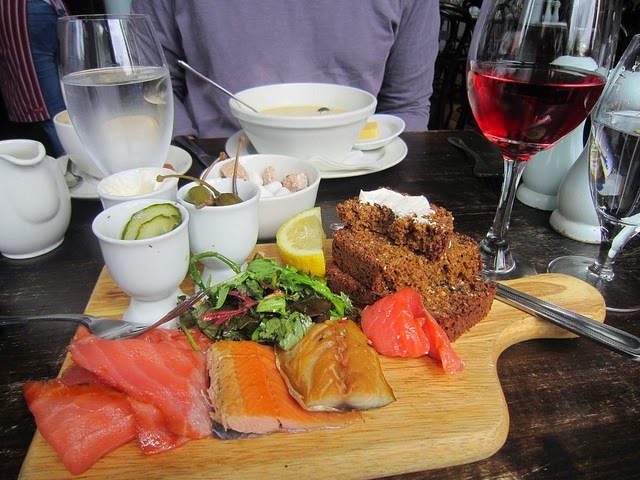 It was mentioned in James Joyce’s Ulysses. Relaxed atmosphere, and extremely helpful and knowledgeable staff (which you’ll need, because the place is so large). Known as the language specialists, this shop has everything you need to learn all sorts of languages. 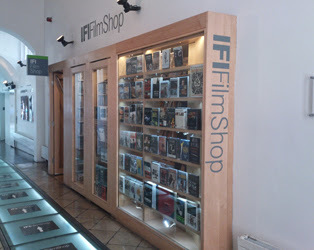 Of course, you’ll find films here – but also plenty of amazing books about, yes, Irish Film. Both new and used books; this shop is a gem. This is a must visit if you’re interested in learning about the history and politics of Ireland. They sell Irish Republican books and merchandise. There are stores in many other cities; there is also a Rebel Walking Tour you can take from here. From their facebook page: "The Rebel Walking Tour also leaves from the bookshop Mon - Fri @ 11.30am and costs €10per person and lasts approx 1 hour 45 mins. Call us on: 01-8148542"
Founded in 1983, you’ll find plenty of used books here – over 10,000 volumes! Stokes also focuses on Irish history and literature. 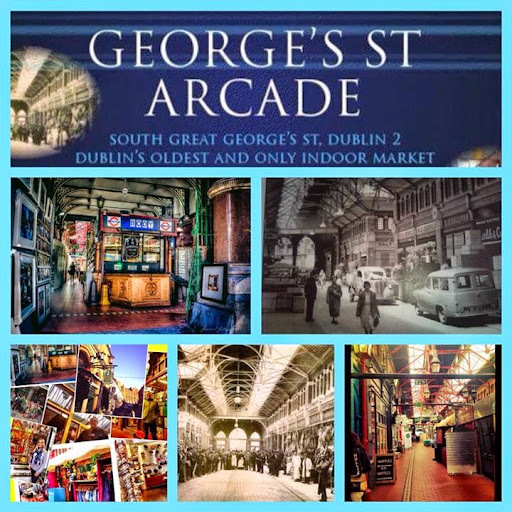 Located in beautiful Georges Street Arcade, Dublin’s oldest (and only) indoor market. Remember the pharmacy from James Joyce’s Ulysses? None other than Sweny’s, now a (very small) used bookstore run by volunteers. You can also find local crafts and a very famous lemon-scented soap! I love their description from the facebook page: “Quite possibly Dublin's worst Pharmacy. Est. 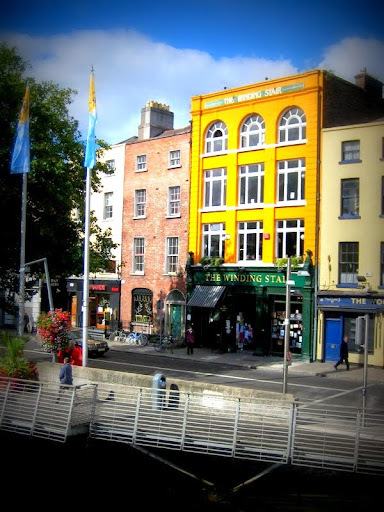 1847 and immortalised in Joyce's Ulysses, we sell books, lemon soap, have readings and imbibe in all things Joycean.” Take a virtual tour here. 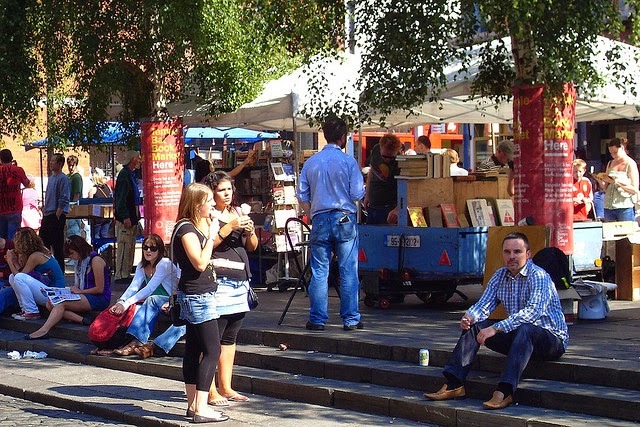 An outdoor book market (used books), held every Saturday and Sunday from 11am-6pm. 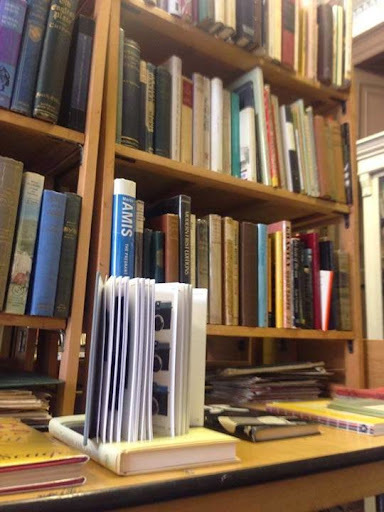 Book traders include Alice Walsh Books, Evelyn and Peter Murray, Joe Murray, and Taney Books. A well-known comic store, you’re sure to get your comic fix here. Be sure to peruse the photos on their facebook page – inspiring! A few regulars. Photo courtesy and copyright The Big Bang. All new books. 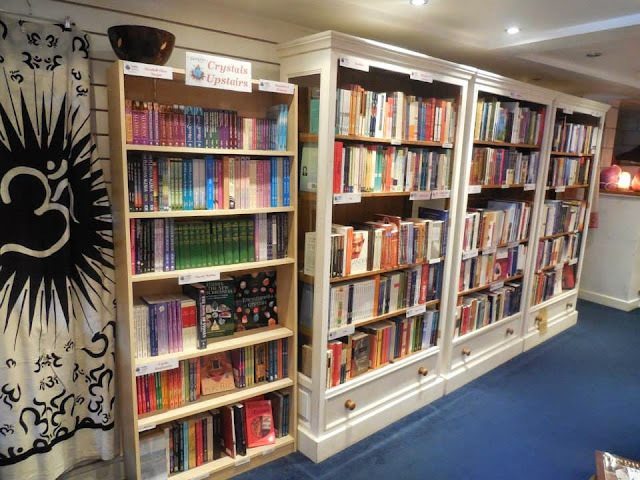 This store started in 2009, and features an online book club. Also opened in 2009, this store is named after Oscar Wilde’s epigram, ‘We are all in the gutter, but some of us are looking at the stars' – a fitting name for a bookstore, indeed. Two locations mean twice the goodness. All new books, very helpful staff, and some cute gifts and stationery. 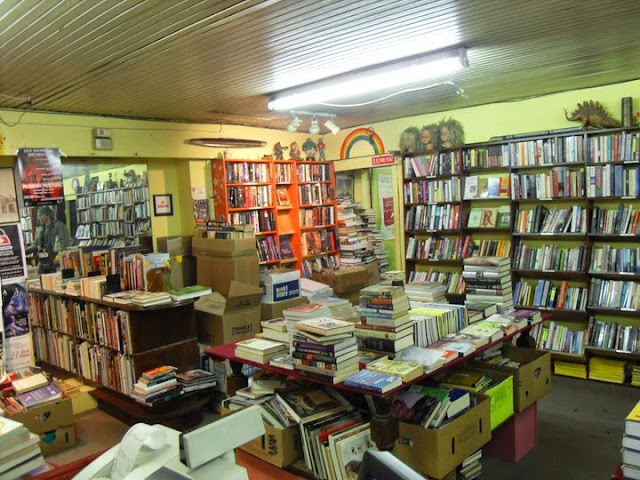 Offering used books and records, this bookstore is ‘secret’ in that you have to find it! Look for the sort of hidden entrance (if you see a barber pole, you’re there!) to enter this great store full of interesting books and records. Of COURSE we’d mention this! I’m sure you’re headed to Trinity College to see the Book of Kells (and the Long Room), but be sure to stop at the bookshop to find treasures you can take home. Formerly known as Cathach Books, Ulysses is an antiquarian bookstore where you can find books of Irish interest, as well as rare books. This large chain first opened in London in 1982, and one of their locations is here in Dublin. A relaxed shop, filled with people who love books. Named from the Yeats poem, "My soul. I summon to the winding ancient stair/Set all your mind upon the steep ascent…" This bookstore sells both new and used books, and plenty of Irish authors, literary magazines, and gifts. Also serves coffee, tea, and wine. LOVE. There's a bistro upstairs (be sure to make a reservation)! And a fond farewell to classic bookshops that have closed, including Greene’s bookshop.